Did you know there’s not just a Jewish Book Club in Tallahassee, Florida—but a Hebrew-reading one?! 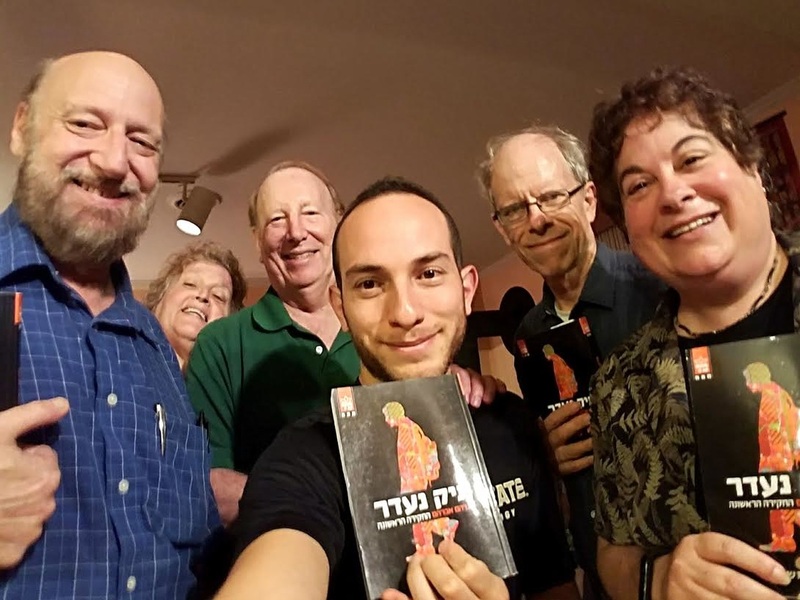 This one-of-a-kind group meets weekly and reads Israeli books in Hebrew. The members range from Israeli to American, Reform to Orthodox, and fluent in Hebrew to having had no formal training in the language. Leah: What books have you read recently? Barbara: We recently finished a book called Mishpat hozer which translates as Retrial by Liad Shoham, who’s sort of the Israeli John Grisham; it was a legal thriller. And then we read a book of short stories by Etgar Keret [who] is a very famous Israeli author. Suddenly a Knock at The Door is the English title. And right now we’re reading Tik nadar which translates as missing case or missing person case [the title is The Missing Case] and it’s by Dror Mishani and it is about a teenage boy who goes missing and the police investigation to find him. It is the first in a trilogy of books about an Israeli detective from Holon whose name is Avraham [or Avi] Avraham. Leah: How do people find out [about the group]? Is it by word of mouth that people find out and want to get involved? Leah: How long has your group been around? Barbara: We started in 2005, so that would be 11 years. So Itay [the former Israeli guide] just graduated in the spring and now for the last month or two we have had Asaf Blatt. So anyway, Itay picked out the Etgar Keret book and the Retrial book for us and then we felt adventuresome enough to try to pick out a book on our own and we perused what was available, and the group decided on Tik nadar which is the first in the Avi Avraham series. Leah: This is the first time I’ve ever heard of a group like this and I’m wondering if you have any tips if other people want to start their own groups in other places? Linda: Well, have a few people who have had some formal training in Hebrew and if you’re lucky enough you’ll find an Israeli who will help you. We started out first with news magazines and then one of the members of our group wanted to do more literature and then we did that. But it’s really good to have somebody who can guide you through the woods because it can get frustrating if you have to look up every other word or every third word. Barbara: When we actually started reading stories, the Israeli government puts out a series called Gesher (or bridge) for new olim, for immigrants to Israel, and they’re adult stories so you know you’re not reading children’s stuff. But they’re in simplified Hebrew; they’re in easy Hebrew. They have vowels and they have footnotes on the bottom so the difficult words are footnoted and are translated into both Russian and English for the new olim. And then a couple years ago we decided to make a big leap (and for us it was a big leap) to start reading without the vowels. Itay, who was out former Israeli grad student, basically brought us along and said, “Enough with reading the easy Hebrew with the vowels; it’s time that you get to learn the real stuff.” [I’ve realized] you don’t learn by reading at your level, you learn by reading above your level. Asaf: Also I believe that we need diversity in education so sometimes we need to do new things. For example, today, we opened our meeting with an article about Shimon Perez. And then next I want[ed] to bring a song from Idan Raichel to the group. So you just learn Hebrew from different kinds of sources. Barbara: And I think that is one thing about our group—that we don’t push for volume—we’re not racing to complete “x” number of pages a week or something like that. Maybe we only get two pages a week done, but we discuss very thoroughly, we discuss any questions that we have, any points anybody wants to make, so we make sure that we all are understanding.